Door County truly shines during October. The beautiful foliage provides a picture-perfect background for Door County winery tours, outdoor festivals, hiking and biking. A stay at Ephraim Shores Resort provides you with a final chance to get outside and experience the great outdoors before colder temperatures and snow arrives. The Egg Harbor Pumpkin Patch, which is held Oct. 7-8 in and around Harbor View Park and provides a great way to kick off fall celebrations. The festival features live music, carnival rides, arts and craft vendors, face painting, pumpkin and scarecrow displays, food, a silent auction and children’s games and activities. The 72nd Annual Sister Bay Fall Fest, which is held Oct. 13-15, is one of the area’s largest weekend celebrations. Featuring a parade, an arts and crafts fair, food booths, live entertainment and children’s activities, Fall Fest has something for everyone. Called the “most scenic distance run in the Midwest,” the Fall 50 is a 50-mile running adventure for solo ultra-marathoners and relay teams planned for Oct. 21. The course route begins at the northernmost tip of Door County and travels down the western shoreline along scenic back roads to Sturgeon Bay. The end of the race at Sunset Park features a giant celebration. While this year’s race is full, you can still join in the fun by coming out and cheering on the runners. 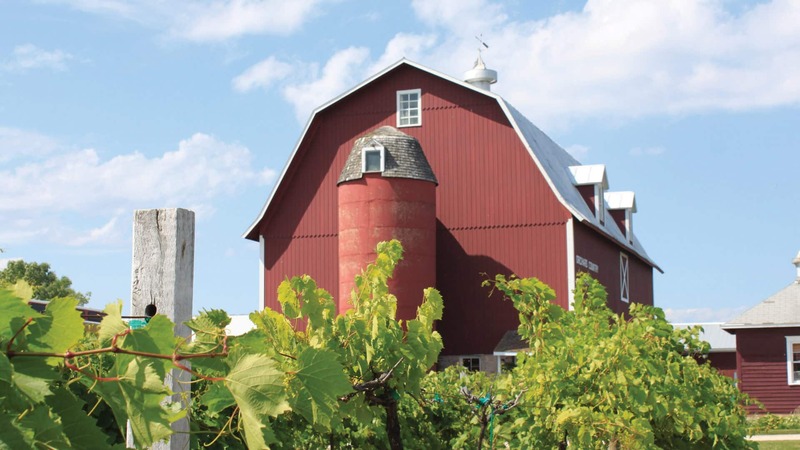 The Door County Wine Trail features eight distinct wineries, each one providing a unique experience and flavor. Local wine varieties range from those made with cherries and other fruits to hardy grapes. Whether you want to visit just one or all of them, options abound – from creating your own personalized schedule to joining a more formal tour on the Door County Trolley. After a day of Door County winery tours or enjoying fun outdoor activities, head back to Ephraim Shores Resort to relax and watch one of Door County’s famous sunsets, or have a family dinner in your room. Ephraim Shores is one of the few resorts to offer kitchenettes in Door County.